The Mackays to Peka Peka Expressway (M2PP) is an 18km four-lane State Highway 1 project running along the Kapiti Coast. The expressway will cross Mazengarb Road to the north of Paraparumu. As part of the bridge work, Scafit was engaged to install propping bays along with providing scaffold solutions for access and fall protection. 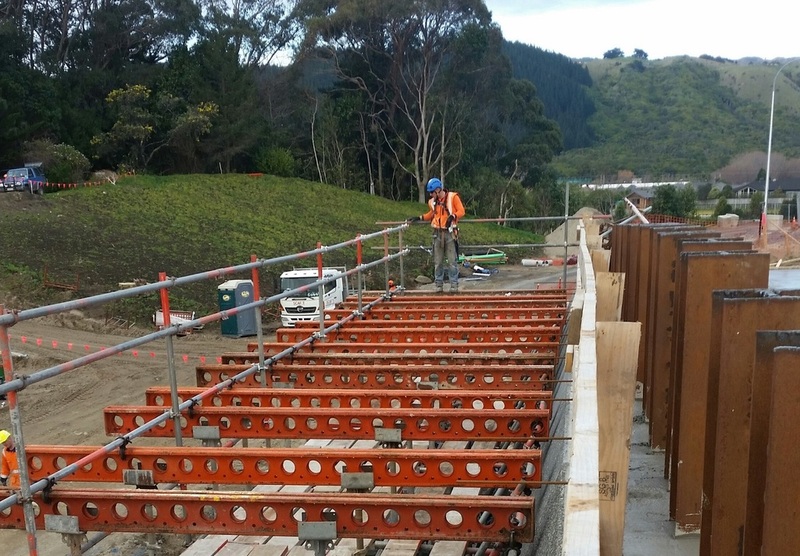 Along with installing propping equipment supplied by RMD New Zealand, Scafit staff constructed a 6 metre high access platform to allow staff walk on/off access to the abutment. The project involved close tolerance of 20cm to avoid the I-beams. Work involved coordinating for the use of the crane, field engineering to add an unplanned working platform, and Iaser-levelled soldiers. 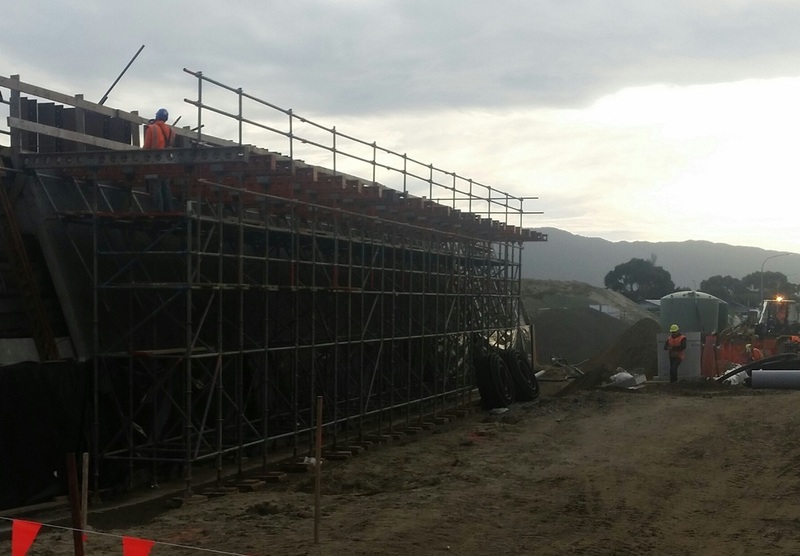 Scafit are the leaders in infrastructure and industrial formwork and scaffolding in the lower North Island. With branches in Wellington, Palmerston North and Wanganui our extensive local knowledge coupled with international expertise from our strong relationships with RMD and Layher is unparalleled. For more information on how Scafit can help with your next industrial or infrastructure project, contact us on 0800 4 SCAFIT or email infrastructure@scafit.co.nz.